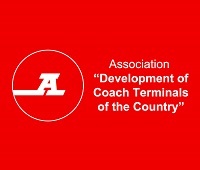 The Association “Development of Coach Terminals of the Country” was established in 2010 based on the recommendation of the Ministry of Transport of the Russian Federation in order to boost the development of intercity bus transport and coach terminals in Russia. The key goal of the Association is to summarize the experience of Russian coach terminals, study foreign experience and introduce new technologies to country’s coach terminals. The Association also acts as an information platform for experience exchange between coach terminals. The Association is actively involved in the preparation of legal act projects, cooperates with the Ministry of Transport of the Russian Federation, Transport Supervisory Authorities and Executive Bodies of the subjects of the Russian Federation.